Emily joined Halloran in 2011. Emily is an accomplished life sciences professional with expertise managing drug discovery and clinical programs across a breadth of indications in biotech and pharma. Most recently, Emily founded Tremont Therapeutics, a small virtual biotech focused on identifying and developing promising therapeutics from academia from mid-discovery through human proof of concept. Prior to that, Emily has held a number of roles including management and leadership responsibilities in the Novartis Drug Discovery Incubator at the Novartis Institutes for Biomedical Research. This group sought to internally "partner" high-risk discovery programs within Novartis for full clinical development. Subsequently, Emily was responsible for business, financial, alliance and scientific program management across a number of research and development programs at Alnylam Pharmaceuticals including the flagship respiratory syncytial virus therapeutics program. This Phase II clinical stage program included the use of an IDE device for the nebulized delivery of the siRNA therapeutic, ALN-RSV01. 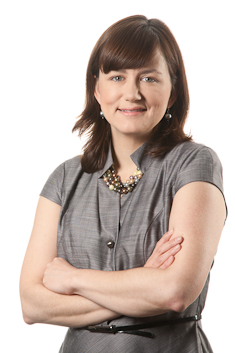 Emily was selected one of the Boston Business Journal's "40 under 40" honorees in 2009 and led a volunteer analytics team that won the Group Innovation Award from the Healthcare Businesswomen's Association in 2010. Emily earned her Ph.D. from University of California, San Francisco, performed her postdoctoral work at the Broad Institute, and received her PMP certification in 2007. Outside of oncology, is there a way to personalize medicine?